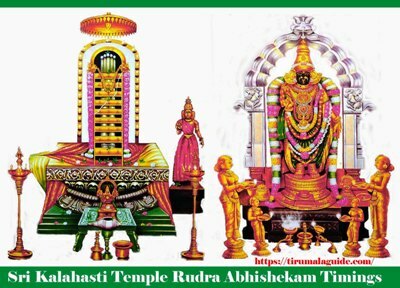 Srikalahasti temple room booking: Sri Kalahasthi is located close to Tirupathi. On the banks of Swarnamukhi River. This is considered to b one of the important sites for ancient Shiva temple. The srikalahasthi temple is situated between the banks of the river and the foot of the neighboring hills and is also referred to as Dakshina kasi. In this we provide you the information about the accommodation available near to Sri Kalahasthi temple. The below are the guest houses that are provided accommodation for the pilgrims based on the payment officially which are permitted by the srikalahasthi temple board. The below are the guest houses for accommodation available in Sri Kalahasthi. The following are the guest houses that are officially approved by the temple administration. For this guest house advance online booking is not available and rooms will be allotted on arrival. This guest house consist of AC and non AC rooms with all the facilities. The land mark of this guest house is at south Gopuram, near temple administration building. It also consists of dormitories with no charge where piligrims can stay. The land mark of this guest house is at Nehru road Sri Kala hasthi. The land mark of this guest house is at opposite to tourist bus station.